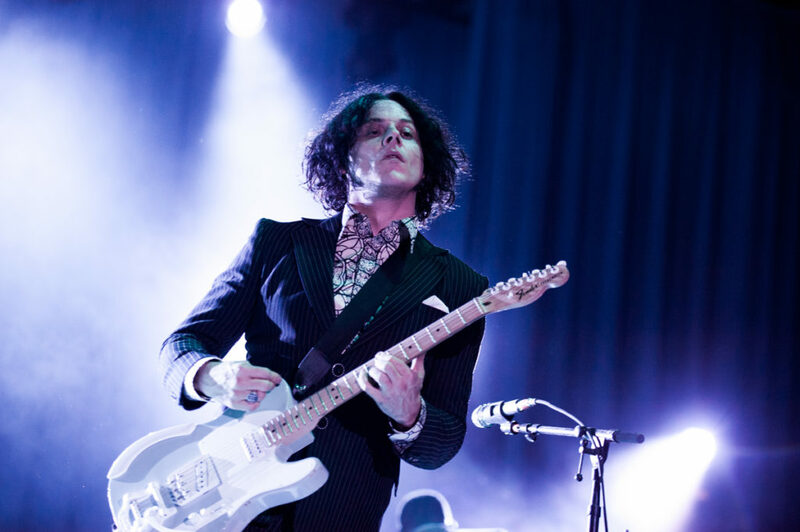 Jack White was recently honoured by the Mayor of Cincinnati, John Cranley. 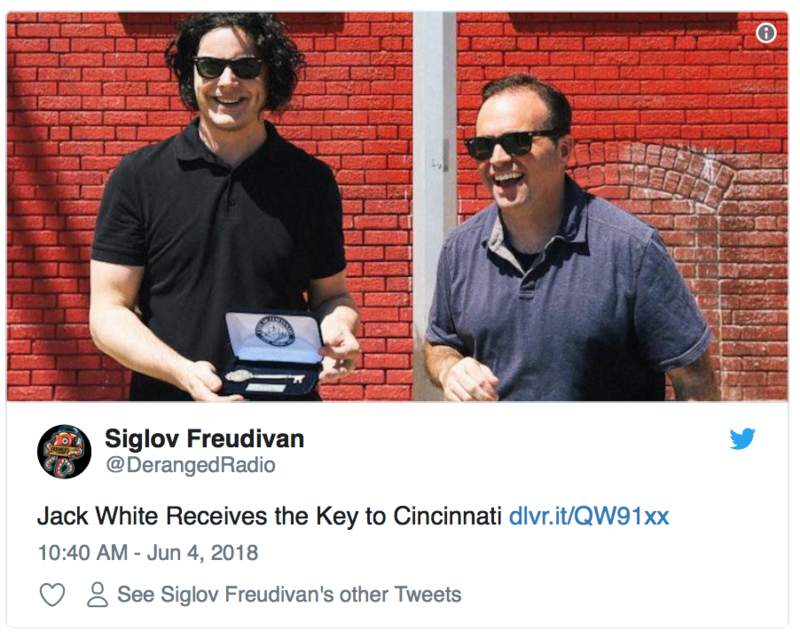 The duo were outside King Records, home to James Brown, Bootsy Collins and The Temptations’ Otis Williams, before the label folded in the 1970s – when White was awarded the key to the city of Cincinnati. King artists Collins, Williams, and Philip Paul were also on hand. Cincinnati recently acquired King Records, saving the studio from demolition. Good on ya, Jack! Well deserved!